Before New York allowed for a “no fault” divorce a legal separation was used as ground of divorce for those couples not wanting to assign blame to the other party. Couples would file legal separation papers, wait a year, and then the divorce could be granted. 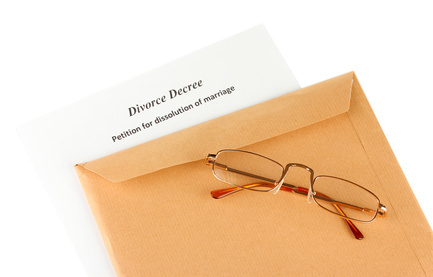 Now a New York divorce attorney legal separation filings have diminished to the very rare occasion. Couples may use legal separations when they do not wish to be divorced but also need to have some financial security while being apart. Or sometimes, one spouse will choose to allow a temporary legal separation so that the other spouse may maintain benefits such as healthcare. The legal separation documents will look similar to settlement documents in that they divide up aspects of bill payments, custody, visitation, and financial support for all parties involved in the marriage. It tends to be that when couples file for separation there is still a level of amity between them that enables the separation agreement to be worked out rather quickly and painlessly. Our divorce lawyers use workbooks to help you make appropriate decisions for the period of separation. Remember, that the legal separation agreement can be used by either partner in a divorce action and the terms laid out in the separation agreement will be filed with the divorce petition so it is important to look to the future when identifying property and financial distribution during this period, as well as, child custody and support decisions. Legal separation is just that—a separation, not a divorce. If you work things through, it is not binding, it is not even a lead up to divorce. Sometimes couples just need a period with space to sort through whatever issues they have with the relationship. Many times legal separation is used when one spouse has a drug or alcohol disorder and children are involved. The spouse will stay away from the house, go to rehab, etc. with the agreement in place to care for the family left behind. Essentially, a separation is not necessarily the end of something, although it can be. When you are ready to file for your legal separation in New York, call us to speak to one of our Brooklyn divorce lawyers or Manhattan divorce attorneys about your intentions. Legal separations are relatively inexpensive and quick to conceive, and they are also less extreme and permanent than a divorce. Call Julia Vangorodska today for a consultation on your separation in New York.